American Heattek Corp is a certified Honeywell building control ACS contractor. Our trained technicians are capable of installing, programming and servicing all types of direct digital and pneumatic controls. American Heattek Corps expertise in building control systems can help you manage your buildings HVAC and energy needs. Improving your buildings performance is our main goal. Call today to set up a free consultation. As an authorized Honeywell BCS contractor, American Heattek offers you building automation products that deliver unparalleled efficiency, savings and control. 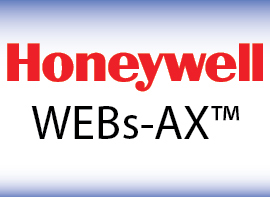 The Honeywell WEBs-AX line offers an affordable integrated open communications building control system. WEBs-AX is a family of state of- the-art, Web-enabled building automation solutions that provide you with amazing flexibility. The entire system is Internet-based; so all you need to access the system is an Internet connection. With the WEBs-AX open integrated system, you’ll have the versatility to choose a collection of best-of-class open protocol products using LonWorks™, BA Cnet, ModBus and OPC-based products for your building needs. Save Money — There are no additional workstations to buy. 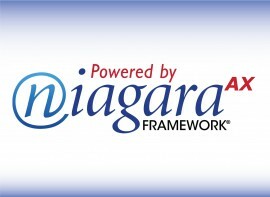 With the Web-enabled user interface, you can access the system via a browser from anywhere in the world. 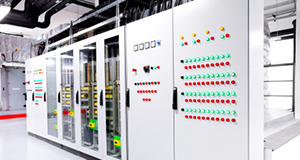 Increase Flexibility — Communicate to LonWorks®, BACnet®, BACnet MSTP, Modbus® and third-party protocols at the controller level. Save Energy — Coordinate all energy-consuming loads in your building, from HVAC and lighting systems to manufacturing operations, to save energy and extend the lifetime of valuable equipment. 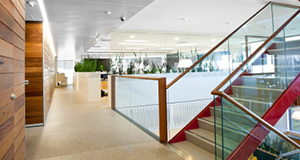 Increase Productivity — Provide comfortable, efficient, productive surroundings for your most valuable assets — your employees — when you create energy-efficient working environments that utilize energy only when and where it is needed. Eliminate Needless Work — Manage activities and information in the most efficient manner, across all subsystems, from one workstation. Security — Create specific secured areas to protect what needs to be protected and know that valuable assets and information are safe. Access — Information access via the Web lets you easily connect to your building regardless of where you are in the world — the only software you need is your Internet browser! Alarms are prioritized and can be sent via e-mail, phone, cell phone, PDA and remote printers. Control Costs — You’ll know the amount of energy your building is using and where it’s being used, so you can make the most educated decisions concerning your building’s operation. Designed For Change — As your business changes, you can easily reconfigure a workspace, move a department or make other changes and know that your facility can change as quickly as your business does. Proven — Backed by the Honeywell name, your assurance of quality and reliability.